Currently excited: to go home in the next few weeks! I finally got my hands on a brush set from Costco! I had to drive to the one half an hour away, but by jolly I got one! They come out with these special brush sets every Christmas, though this is the first year that I've actually purchased one. A word of warning, only take these out of the box they come in ONCE. Don't put them back in it. I say this because they can be difficult to get out and one of the only ways is to pull up on the bristles to do so. 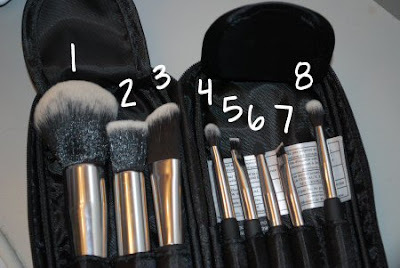 Once won't kill your brushes, but let's not damage them before we get to use them! They have really nice black rubberized handles. They aren't going to slip through your fingers. The handles are a little thick to also help your hold on them. The bristles are just dyed that way on all of the brushes and are not dual fiber. 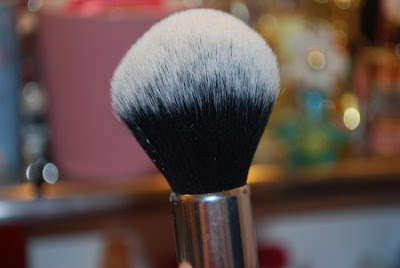 That's a close-up of my absolute favorite brush from the collection- the large powder brush. It's fantastic! 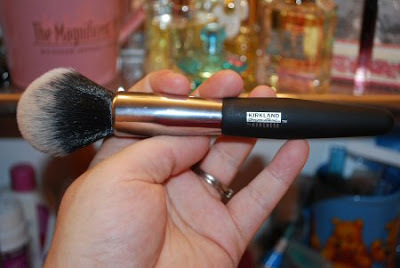 It's very densely packed with bristles so it picks up the perfect amount of powder. It is super soft and does not scratch my skin at all. 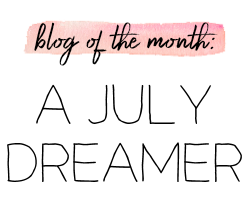 I've used it for my MSF Natural, my blush, and my Prep + Prime powder. Love it! 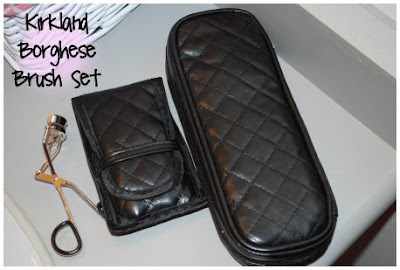 And to top it all off, you also get an eyelash curler with the set! Some people don't like the quality of it, but I don't mind it. 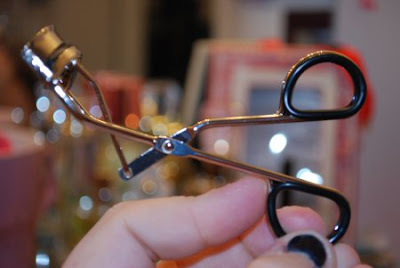 My eyelash curler before this one was horrible and just didn't work. This one has allowed me to get closer to my face and curls my lashes really well. If anything, I think it's great for a beginner! This set has really impressed me. I got the whole box of goodies for around C$20. The brush quality is impressive for what you are paying for. They are well made and I've had no problems with shedding so far. I have my fingers crossed that next year they will take out the eyelash curler and add in a kabuki brush just to toss things up a bit! 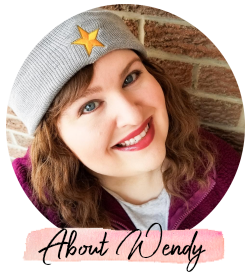 If you have any questions about the set, just ask! I've been wondering where to get good quality brushes for cheap. So I was going to order sigma brushes, but these are only $20 CDN huh? are they like amazing..have you tried the sigma ones? I'd been hearing about these from gurus on YouTube and thought for $20, I might as well try them. They are really impressive. They are very smooth and soft to the touch. 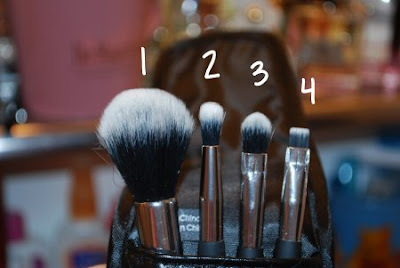 I love the powder brush and blending brush the most. And the spooley is well made. It doesn't bend as easily as a lot of other brands. The size of the travel set is interesting. I don't think I'll use the small powder brush much, but I really like the eyeshadow brush with it! I love the quilted packaging too- gorgeous. I figure for a set that is giving me 12 brushes with only two that I don't think I'll be using that often, that's not bad. I'm impressed by the quality for the price. @OMA- Can't wait to hear your Sigma review when you get them! I'll be sure to do the same!